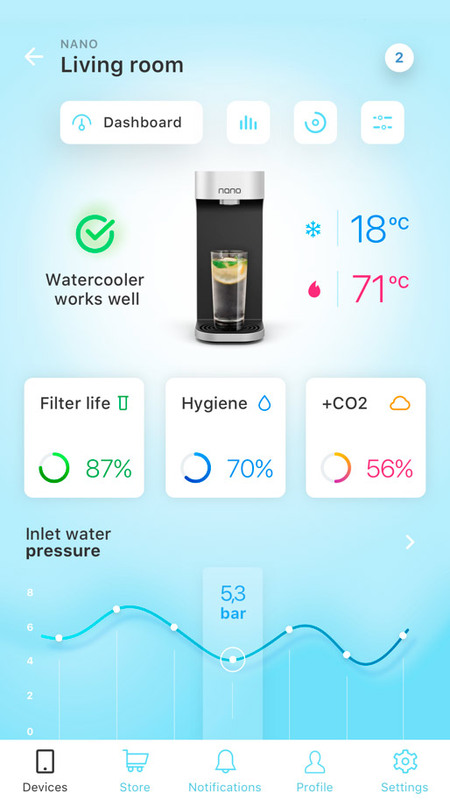 Nano Water Dispenser is an energy-efficient, environmentally-friendly, smart water cooler for those who want to enjoy the crystal-clear water. 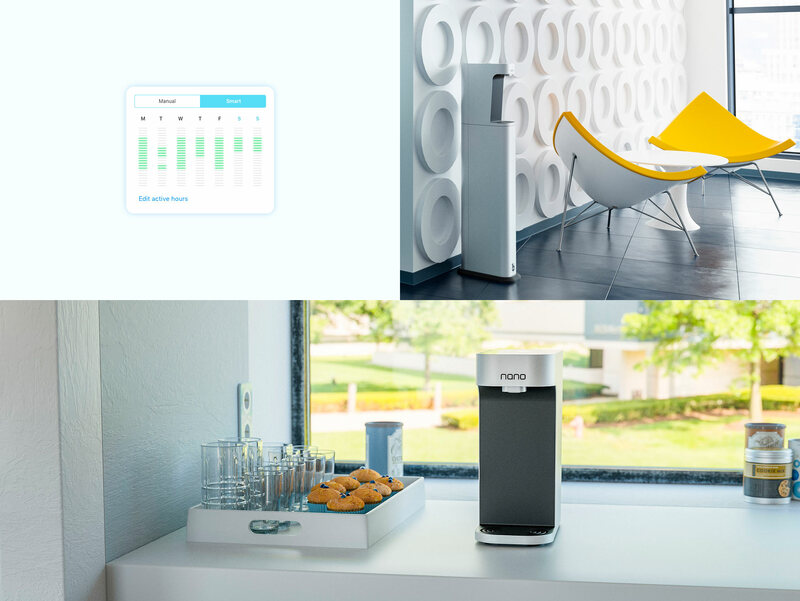 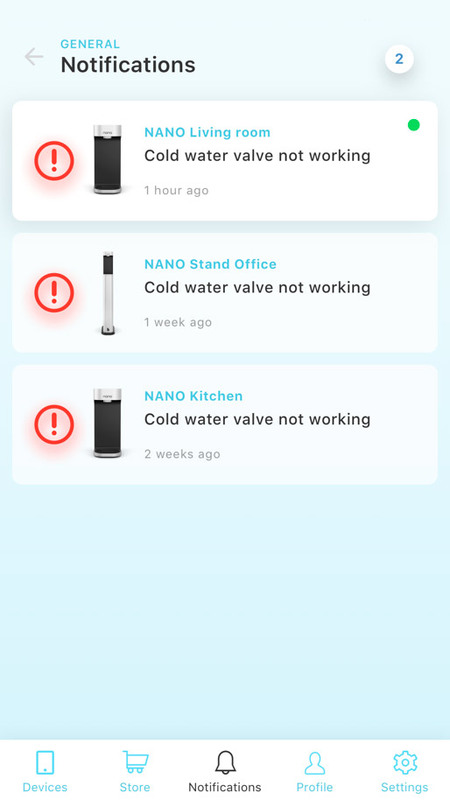 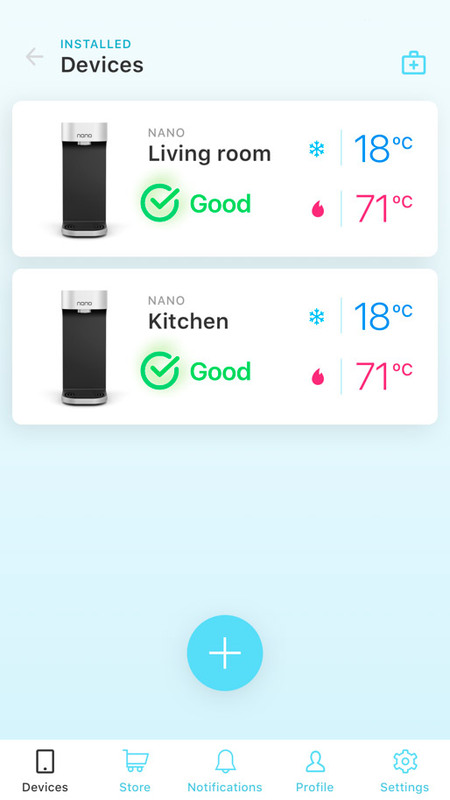 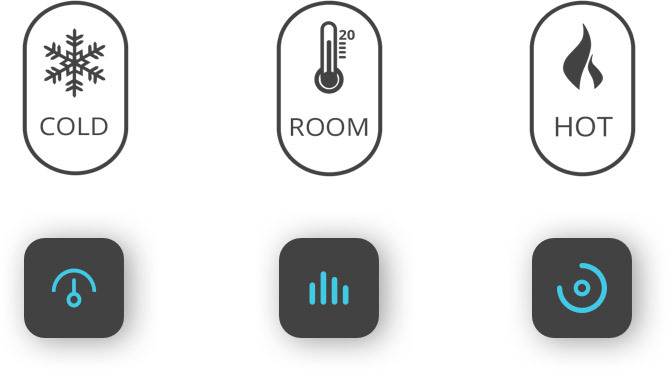 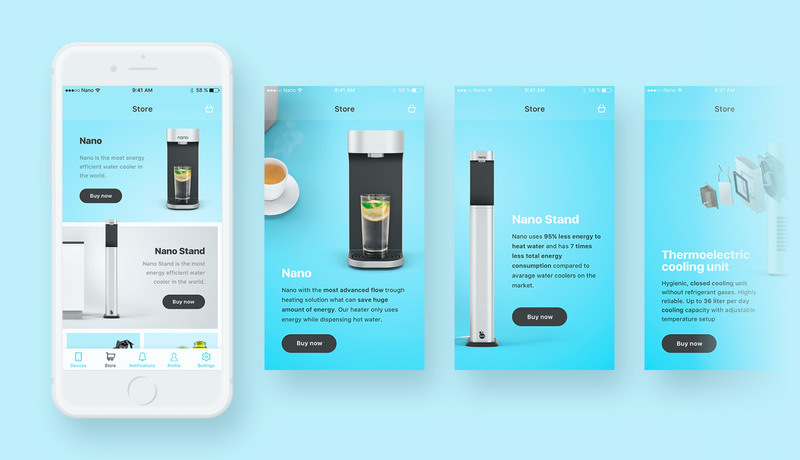 The Nano water dispenser uses an advanced flow-through heating system that instantly heats filtered water to the desired temperature. 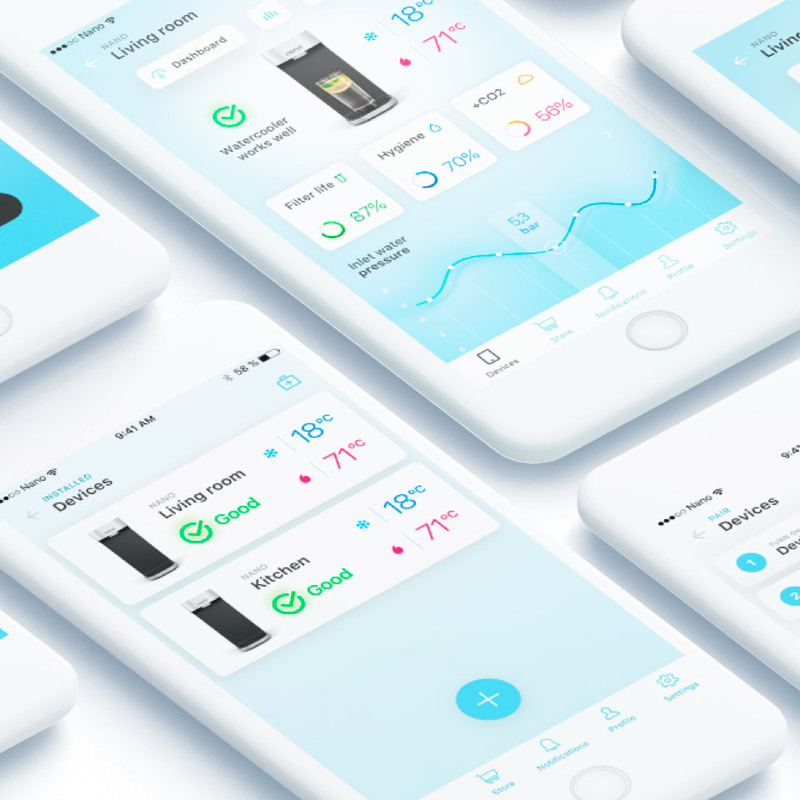 Without the need for storage tanks or preheating, the Nano approaches 98% energy efficiency. 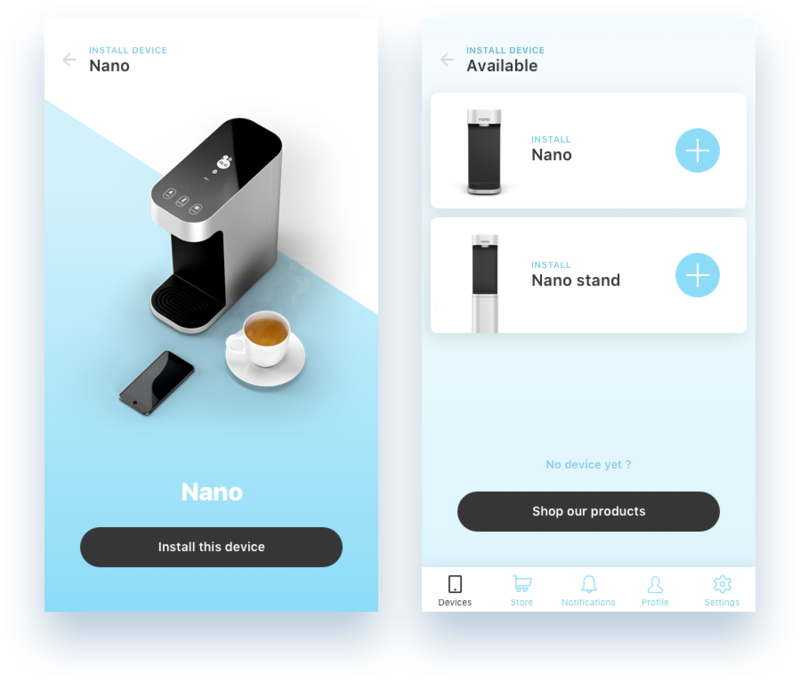 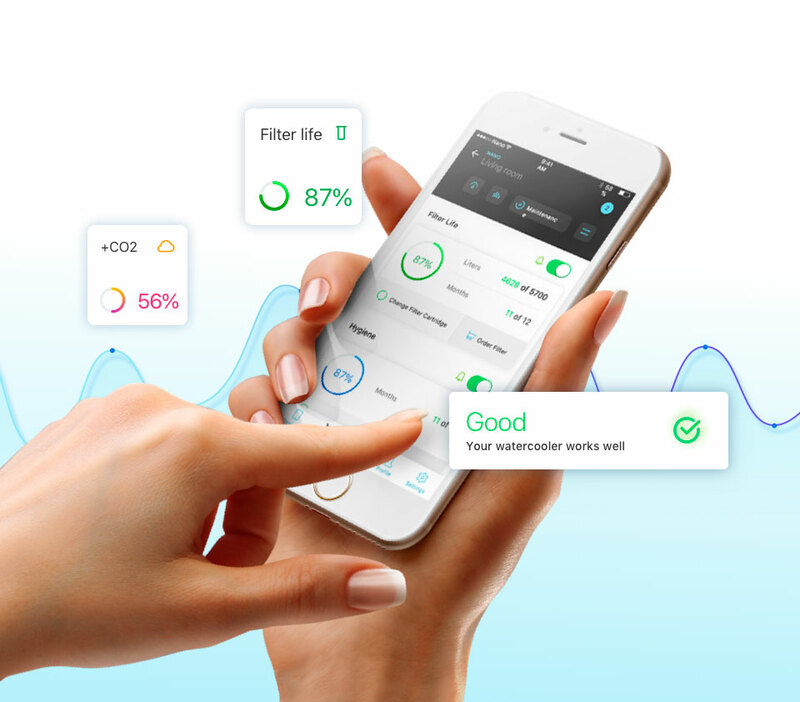 Self-diagnostic, notifications, place your order right away, filter change and semi-automatic cleaning: customize your product for your style. 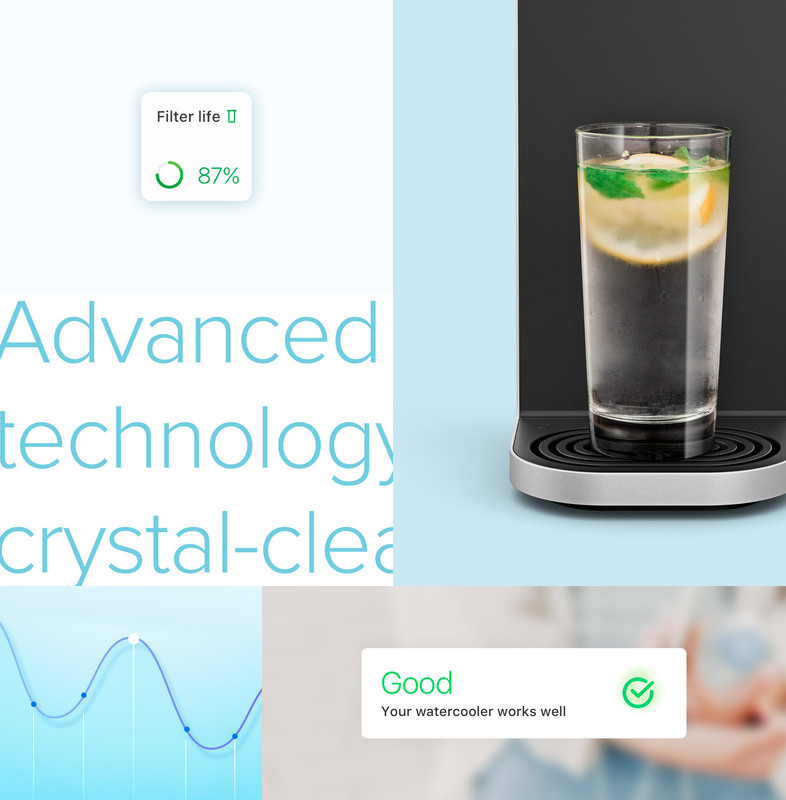 Enjoy your crystal clear water!